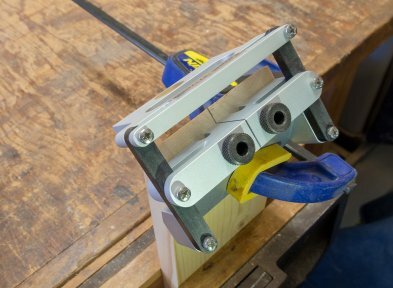 Dowel Wizard is a unique way to precisely position and drill wood dowel holes. 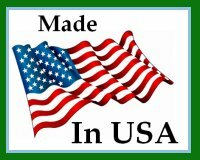 Low cost and easy to use! 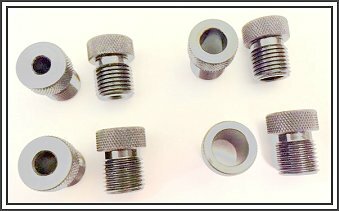 NEW “MITER PLATE” ACCESSORY AND MM SIZE DRILL GUIDE BUSHINGS NOW AVAILABLE! 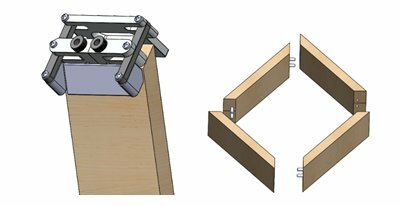 This wood doweling tool is for the woodworker who wants to easily drill wood dowel holes accurately and quickly without fussing around adjusting the jig or fixture to precisely position each dowel hole as is done with most jigs available today. 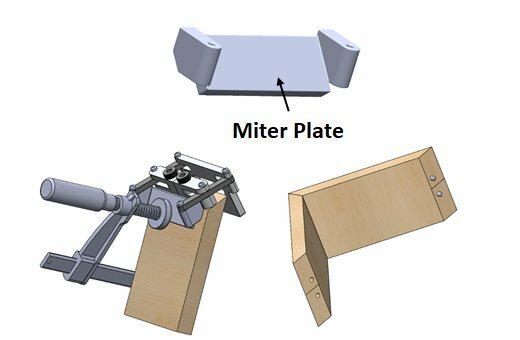 Make strong miter joints the easy way! 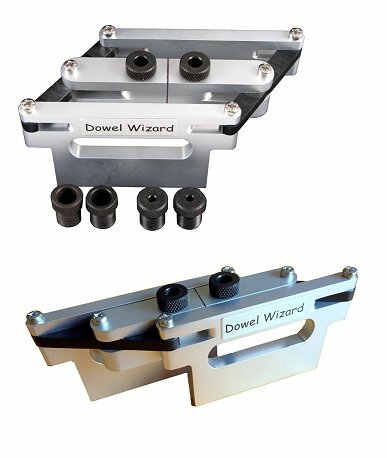 Introducing the new mitering joint accessory for the Dowel Wizard doweling tool. This accessory allows you to easily and precisely drill dowel holes just like you do with the Dowel Wizard but at exactly 45⁰ for that perfect miter joint. This new accessory is AVAILABLE NOW!! Watch the Dowel Wizard Miter Plate Accessory in Action! We are excited that we received a great review from Canadian Woodworking & Home Improvement! 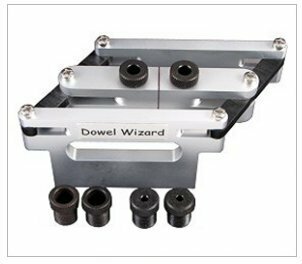 “With the Dowel Wizard you can do edge-to-edge, edge-to-end, edge-to-inside, rail-to-stile and miter joints, on stock up to 2″ thick. It doesn’t have all the versatility of some of the higher end doweling jigs, but at about 1/3 of the price, it’s a good option for anyone who wants to do ocassional doweling. Highly recommended.” Read the full review here. Read another super review from Woodworkers Guild of America! I was looking for an easier way to join rails and stiles than using my “Woodpecker MT” jig. I had considered dowels but always thought they were too fussy to line up precisely. Well, I just purchased a “Dowel Wizard” wood doweling tool and it is beautifully made. I tried it out for the first time and the joint, it was PERFECT. Very easy to use. Terrific design. MUCH easier than the MT jig. And the price, it is way cheaper than “Dowelmax” jig. Thank you Atkinson Product Design for a great product and at a fair price. Simply click here to email us your review. We appreciate your feedback! Searching for a “wood doweling tool”? 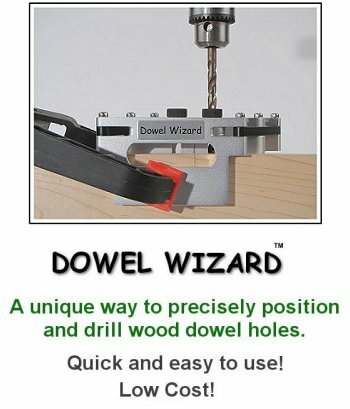 Dowel Wizard is the easiest doweling tool around!